Students signed their "Resolution of Respect" as part of our No Place For Hate initiative. 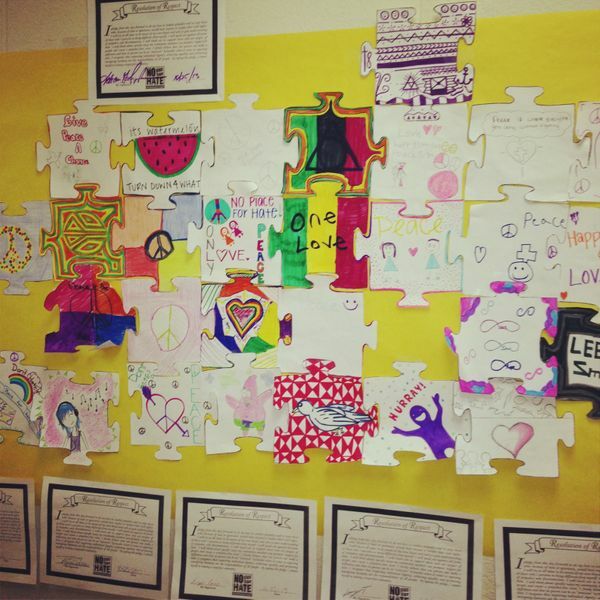 Puzzle pieces were created that demonstrated some sort of love, respect, tolerance, acceptance, or positive message. All grade levels participated and these puzzles can be found throughout the building.